Autumn heralds apple cider, crisp cool air and the colorful reveal of fall foliage. The best way to experience this in Cincinnati is by visiting one of the city’s many parks. This city is blessed with having some of its best parks within or overlooking its urban core. 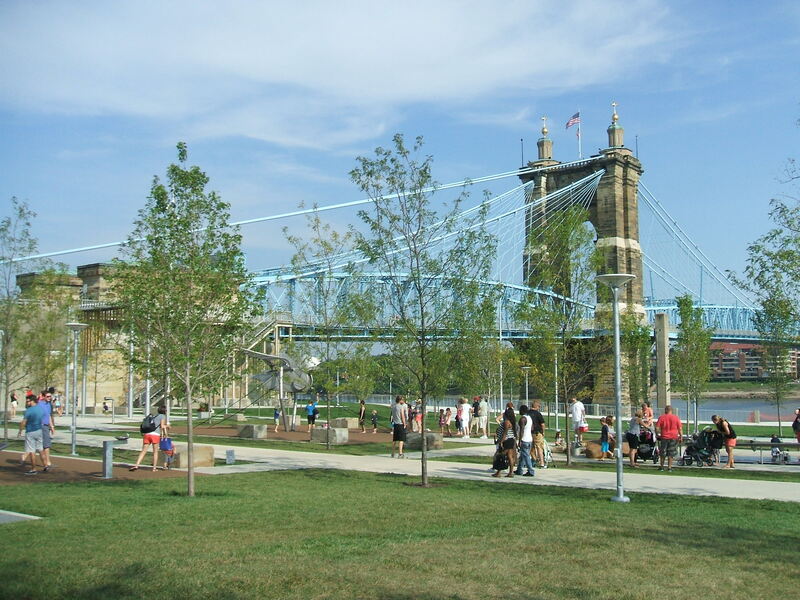 The Smale Riverfront Park, Washington Park and others dot the landscape and are all easily connected by the brand new Cincinnati Bell Connector. Yet the leaves won’t stay on the trees forever, which is why this weekend is the best time to snap a few photos! 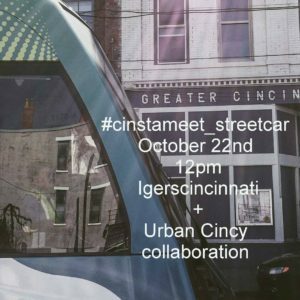 UrbanCincy has partnered with IGers Cincinnati, a group dedicated to highlighting the best Cincinnati area Instagramers to do a photo walk this Saturday, October 22 at noon. The photo walk, called “Park + Ride,” will highlight the new Cincinnati Bell Connector and the city’s great urban parks along the streetcar route. Participation is free and open to anyone. This is a great opportunity to meet new people, fellow Instagram photographers and more. We will be meeting at the “Sing the Queen City” sign at Smale Riverfront Park at noon. From there the group will tour the Riverfront Park before boarding the streetcar to travel to our next destinations. Stops include Smale Riverfront Park, Piatt Park, Washington Park and the Rhinegeist rooftop deck. There will also be an optional climb to Bellevue Hill Park. 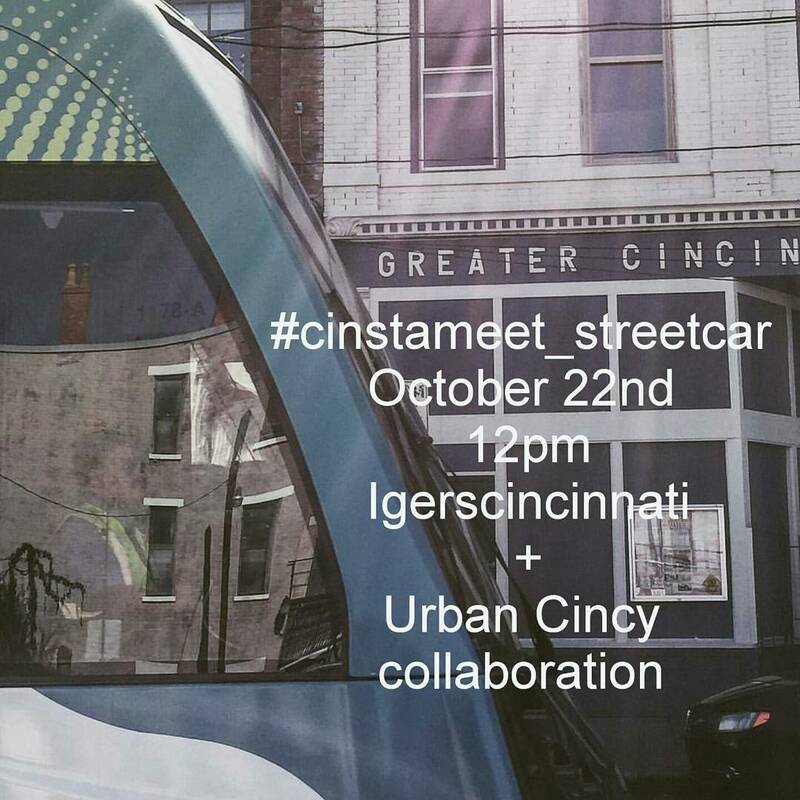 Some photos taken at the event and tagged with #cinstameet_streetcar will be highlighted by UrbanCincy. The event starts at noon on Saturday October 22 in front of the “Sing the Queen City” sign located at the foot of the Roebling Suspension Bridge. It is easily accessible from the Banks Streetcar stop and is located within a block of three Cincy RedBike stations. Bring your smartphone or camera. We hope to see you there! John joined UrbanCincy in 2011 and immediately established himself as a key member of the UrbanCincy team. A native of Chicago, transplanted to Lebanon, Ohio in his teenage years, John currently resides in Cincinnati’s historic Over-the-Rhine neighborhood. John earned a Masters of Community Planning degree from the University of Cincinnati in 2013.